The US Naval Air Warfare Center Aircraft Division tapped Insitu Inc. with $17.5 million to support ScanEagle Unmanned Aerial Vehicles (UAVs) sites in Afghanistan. The delivery order provides for technical services, training, site survey and activation teams, and program management to sustain. 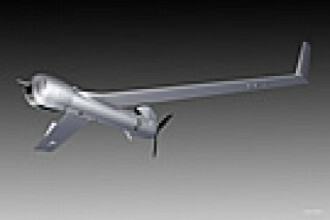 The Boeing Insitu ScanEagle is a long-endurance, low-altitude UAV used for reconnaissance. The ScanEaglecarried a stabilized electro-optical and infrared camera on a lightweight inertial stabilized turret system, and an integrated communications system having a range of over 62 miles. The UAV is launched using a pneumatic launcher known as the „SuperWedge“ launcher. In 2015 Insitu won an award to deliver eight ScanEagle systems to Afghanistan and in 2017 the company was tapped for delivery of five more. In March last year, it was reported that Afghanistan is to receive eight additional UAVs by March 2019. 95 percent of work under the current contract will be performed in Afghanistan and 5 percent in Bingen, Washington. The scheduled completion date is March 2020. The US Department of State approved a possible sale to Morocco of F-16C/D aircraft. The cost of the deal is estimated at $3.8 billion. Morocco has requested to purchase 25 F-16C/D Block 72 aircraft and other related equipment. According to a press statement , the proposed sale will contribute to the foreign policy and national security of the United States by helping to improve the security of a major Non-NATO ally that continues to be an important force for political stability and economic progress in North Africa. Morocco already operates an F-16 fleet and also requested an upgrade of the 23 aircraft to the F-16V configuration. The prime contractor for the sale and the upgrade is Lockheed Martin. According to the company, the F-16 Block 70/72 is the newest and most advanced F-16 configuration to date, with a structural life more than 50 percent beyond that of previous F-16 aircraft.